The brightest entrepreneurs I’ve met take calculated risks. 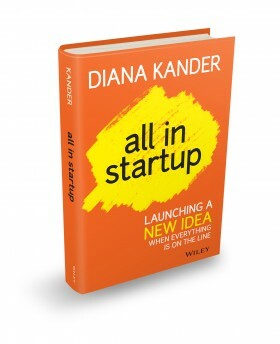 Diana Kander’s book, All In Startup: Launching a New Idea When Everything is on the Line, is an excellent look at how the smartest minds in business know exactly when to go “all in.” The defining characteristic of true entrepreneurs and those who want to “play business” is clearly defined in Kander’s brilliant look at startup enterprises. As a Senior Fellow at the Kauffman Foundation, Diana Kander offers razor-sharp insights from the world’s largest non-profit institution dedicated to entrepreneurship and education. With so many business books published as check-lists or case studies, it’s refreshing to read Kander’s latest work presented in authentic storytelling at its best. This book will resonate with anyone who has or is currently trying to launch a new idea in a world full of critical opposition. Absolutely add this book to your library today.